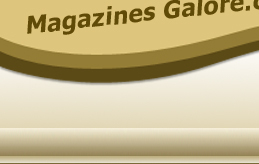 We have over 1,000 different magazine titles. To browser through our titles, please select the first letter of the magazine's title. If you do not see a magazine title listed, or have any questions, please contact us.